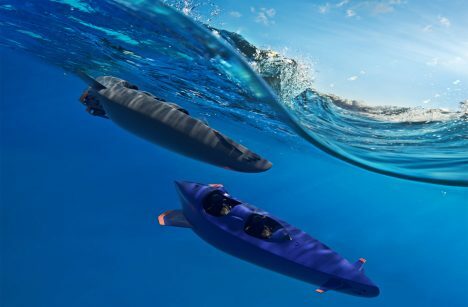 The MK1C looks like a conventional submarine missing its hood, but this electric vehicle is aimed at underwater travel for those already sporting submersible gear. 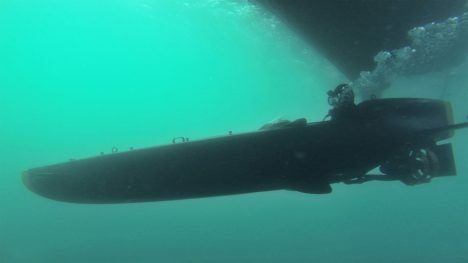 Marine biologists, underwater archeologists and special forces, the craft lets divers get in and out easily, but travel far faster than they normally could beneath the waves. 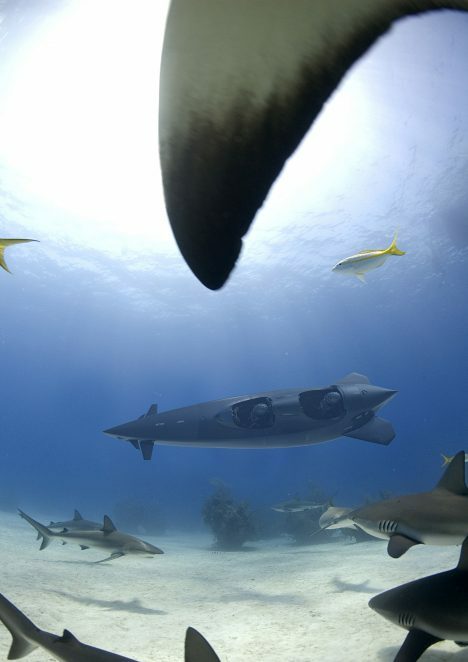 Its designers claim it is the fastest in the world, allowing people get get lower faster and stay underwater longer as a result. 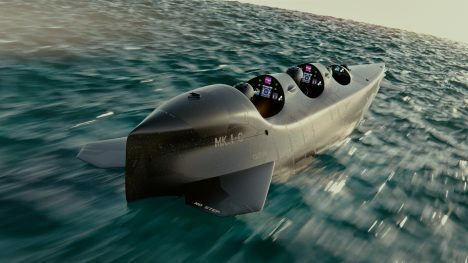 It can carry three divers at a time, powered by two spinning motors running on four large batteries. On the surface, it can hit 8 knots – below the water line it can go up to 8 knots. The submarine is equipped with breathing apparatus, a navigation system, extra air supplies and a cargo space of 250 liters. While designed for more official and serious uses, one could have a lot of fun with this – anyone who has gone recreational diving knows it is a pain to jump in and come back out then search for the next spot. With this, you can cruise below the waves just as you would looking at sights on the surface in a car. See more in Mods & Custom or under Transportation. November, 2016.